The Atomic Cowboy this Saturday will be quite a scene. Dress in all black and your first drink is on the house. 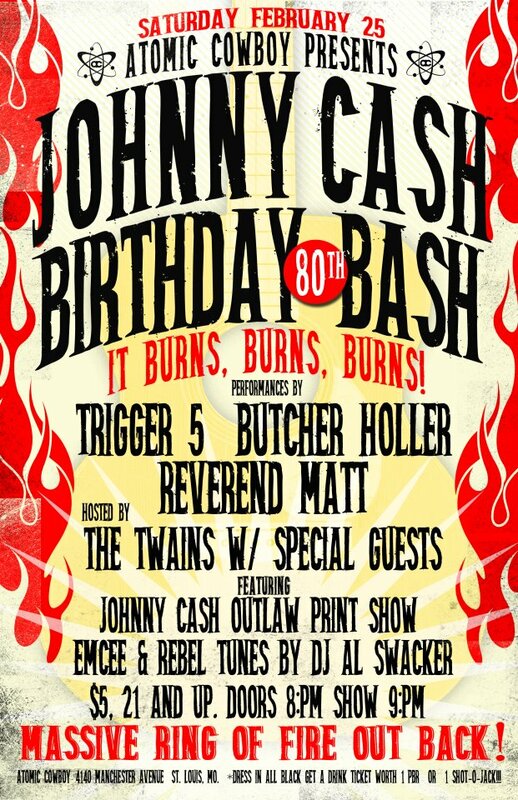 Trigger 5 will be headlining the Cash 80th birthday bash replete with a black balloon release and the ring of fire out back in the fire pit.